Spurrell’s Leaf Frog is a large tree frog found in the humid lowland forests of Costa Rica, Panama, Colombia and Ecuador. It is currently considered that several species may actually be grouped under the name A. spurrelli, as specimens from different populations are highly variable. In Costa Rica, for instance, the Pacific form is very different from specimens found on the Caribbean Coast, the later being much larger, having a different call, and having quite a different looking tadpole (Gray, 1997). The tadpole described many years later than the original adult Type Specimen is of a specimen from from the Pacific Population (smaller form). The tadpole of the Caribbean form is very different, having much wider tail and larger body (Pictured right). This could possibly be due to Predator induced influences. The Type Specimen collected by Dr Spurrell from Pena Lisa, Condoto, Choco, in Colombia, and which is kept in the British Museum of Natural History, is a female of the large form (and so is the true A.spurrelli: Pictured Left). Agalychnis spurrelli is known as a ‘Gliding’ Tree Frog, because it has fully-webbed hands and feet which it extends when jumping to help it travel further and with accuracy. The species lives high up in the tree canopy and comes down to ponds to breed when the moon is full. The females lay long strips of eggs on leaves over the pond, which then develop into tadpoles and drop into the water below about 5 days later. This helps stop the eggs being eated by fish and other aquatic predators whilst they develop. However, the tadpoles are often eaten by dragonfly larvae, water scorpions, turtles, etc, and have to swim carefully to avoid being caught. The tadpoles have excellent eyesight and swim by vibrating the very tips of their tails and they manouvre slowly through the water, often suspending themselves near the water’s surface as they feed. We have been working this wonderful species both in the wild and in captivity for many years and, in fact, one of my earliest published short research articles focused on showing the differences between specimens of Pacific and Caribbean populations whilst based in Costa Rica for several months in the early parts of my career. Gray, A.R. (1997). Observations on the biology of Agalychnis spurrelli from the Caribean lowlands of Costa Rica. International Herp Soc, Vol 22. No 2, 61-66. 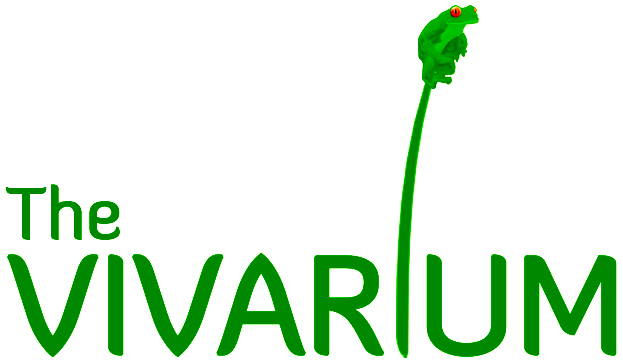 Over the past ten years, we have also bred the species in captivity at the Vivarium and several Manchester University student research projects have focused on investigating different aspects of their breeding biology and behaviour. One noteable student, Kathryn Godfrey (pictured), focused her project specifically on the gliding behaviour of this species. To read Kathryn’s research project click here: Gliding in Agalychnis-spurrelli. The species is now protected by CITES. It has been successfully maintained at The Manchester Museum for several years, where it was first bred in our large South American Exhibit. A couple of years ago I was fortunate enough to be employed as main scientific advisor for a BBC Planet Earth Attenborough programme to help facilitate the filming of the species in the wild. We managed to get some amazing footage of the frogs gliding from the treetops and also breeding, which was filmed for the very first time.